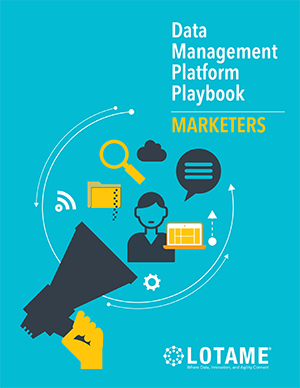 Data management platforms (DMPs) have risen to the forefront of media and advertising on both the buy- and sell-side, as a result of an increasing focus on the analysis and targeting of audiences across multiple platforms, devices and media channels. Despite the widespread adoption of DMPs, how can you be sure you are making the most of your DMP? Are you maximizing the potential of your audience data for the best results? If you’re looking for guidance, look no further. DMP Playbooks are here! 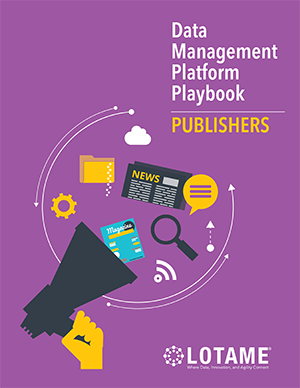 Lotame has created these DMP Playbooks to be used as a guide to ensure you are getting the most bang for your buck. 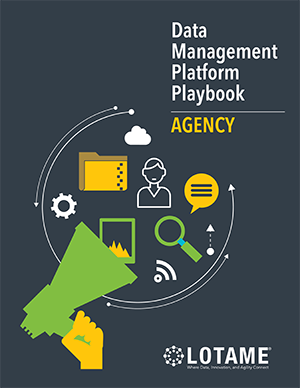 For anyone looking for ideas, tips, or tricks on how to make the most of your data management platform, this playbook can help. As a unified and centralized technology platform used for collecting, organizing, and activating large sets of data from disparate sources, DMPs are relied on by companies around the globe in every industry and vertical. Does your organization have your data strategy accurately mapped out so you understand all the amazing things the DMP can help you achieve? Have more questions? Contact us – we’d love to chat!